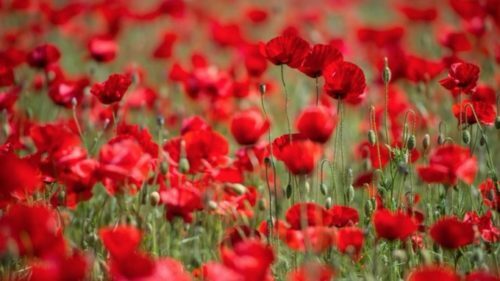 Armistice Day this Sunday is a time for us to remember the sacrifices of so many. Robert Allan (Dufty) Bell. Enlistment in 1917 [NZH 6/3/1917 pg6]. Pakuranga farmer, served in Egypt. He was one of the last groups of soldiers to go into battle on their horses. Dufty was with the Territorials in 1914 and was sent to patrol Browns Bay as part of Auckland’s defences, as well as keeping an eye on the Puhoi German settlers, when all “Germans” were under surveillance. Later in 1914 he was sent to Palestine. He was infected with malaria and was carried on a camel, then a donkey cart to hospital. Dufty owned “Hope Farm” at Pakuranga and was the last farmer to harvest oats and wheat in Pakuranga in 1947. No. 56532. Joseph Andrew Cairney. NZ Expeditionary Forces 16th Reinforcements, Auckland Infantry Battalion A Company. Wounded 1917 at Messines and Passchendaele. When tidying up the ammunition store a rusted grenade blew up. A leg was amputated but he died after surgery 26 Jan 1918 aged 33yrs. Buried in Belgium. He worked on John Gills’ Cockle Bay farm. The Cairney family lived in a sod cottage in Sandspit Road, Howick (where Howick College is today) until the 1920s. Private Thomas Crawford, was a motor mechanic. His family owned and operated the Howick Crawford buses. He was a member of the NZ Expeditionary Force. He left Wellington 7 December 1916 with 20th Reinforcements Auckland Infantry Battalion A Company. Served at Gallipoli. Wounded Aug 15 1916, killed in battle of Gravenstafel in Ypres campaign, France Oct 4 1917 aged 28yrs. Buried at Dochy Farm, New British cemetery in West-Vlaanderen, Belgium. There is a gravestone but his resting place is “known only to God”. No. 30761. Rifleman Walter John Fortune 31622 1st NZEF lost a leg and lived, partially immobilised, in Fortunes Road, Pakuranga. Died 10 July 1956 aged 85 years buried Catholic Cemetery Howick. No. 31622. Frank Andrew Guy, Ti Rakau Drive, farmer. No 36011 or 65886. He was gassed at Passchendaele and returned to New Zealand, married his nurse Clara, but died of his war wounds on 16th December 1921, aged 31 years. No.23/1061. Corporal John Cecil Litten served in WWI & WWII. 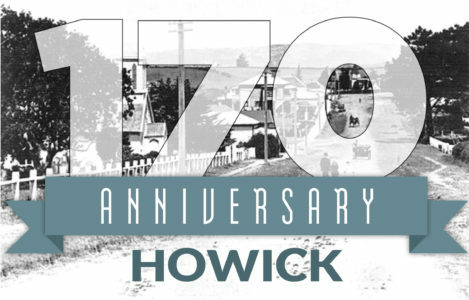 Howick farmer and Mayor of Howick Borough Council. Cecil aged 21 years joined the Mounted Rifle Brigade in January 1916 and was sent to Egypt, then on to Belgium in the artillery with his horse carrying stores, guns and ammunition using two wheeled carts but when the mud was too deep for carts pack horses were used. He was injured by an artillery shell explosion and hospitalised. He was active in the successful New Zealand attack and defeat of the German troops in the Battle for Le Quesnoy two weeks before the Armistice. While in hospital he learned to speak French. No. 13/827. Cecil was gassed in France and had a cough for the rest of his life which eventually killed him. Rifleman James Somerville, Military Medal (awarded posthumously) 4th Reinforcements. He was killed at Messines June 24 1917 aged 24years. William Robert Somerville of Howick. No. 74233. 700 were killed on the same day in that battle. Their parents’ homestead was at “Cream Stand Corner”, Whitford Road. No. 14501.